In addition to Revolutionary’s compelling plot, the book has several built-in wow factors. Myers is a female-to-male transgender author whose novel has a gender identity theme and is based on the true story of a distant ancestor of his. But for me, I just love historical novels. And, as an aspiring novelist, I’m always rooting for debut authors. In a Q&A article published in Writer’s Digest, Myers advised writers to write every day. “Writing is a muscle and it needs to be exercised,” he said. I asked him a few questions that were not covered by the interview. Q: You gave a brief writing advice in Writer’s Digest. Any additional advice? Alex Myers: The best advice I have is to write. And not be afraid to set a draft aside. Don't feel like you're abandoning a project. If you are frustrated with something, set it aside. You can always come back to it. I know too many writers who have stuck with a project that has made them miserable and not want to write. Q: You have an MFA. Would you recommend pursuing an MFA as a path toward a writing career? Alex Myers: I went to a low residency MFA program at Vermont College of Fine Arts. I loved it. It helped me not only in learning how to write but also in how to balance writing with the rest of my life. I did the program while I was working full time, and time management was a huge part of the education! More than that, I got to work with some fine faculty members and really get individual attention to my writing. Q: Do you have a writing critique group or a writing critique partner? Alex Myers: My MFA program was also great for putting me in touch with a group of writers, and since graduation, I have stayed in touch with many of my classmates. We exchange work somewhat regularly. That is mostly for short fiction, poetry, short nonfiction. For working on novels, I rely on comments from my agent, and in the case of Revolutionary—willing early readers. My wife reads drafts and she offers wonderful feedback. I have other generous friends who have read multiple drafts and their comments sharpen my revision. Q: Describe your experience on the day that your book was published and also your experience promoting it. Alex Myers: The day before my book was published, the New York Times reviewed my book. I was alternately giddy over the fact that they were reviewing it and nervous about what they would say! Since publication, I have done a number of radio interviews, phone interviews for websites and print publications, author talks at book stores and colleges, as well as staying active on social media. Whew! 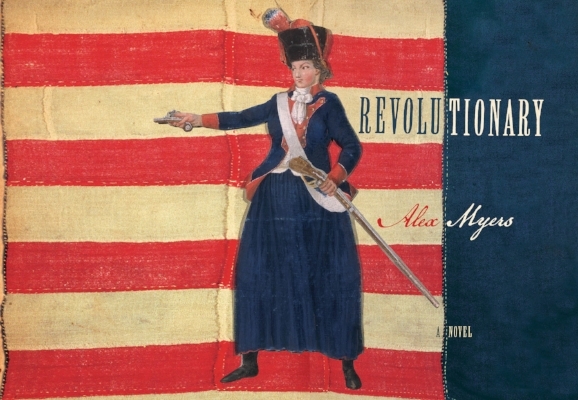 To read more about Revolutionary and Myers, click here. To read the Writer’s Digest Q&A article, click here.